I went to my first FIRST SATURDAY yesterday, and it was a lot of fun! I was there in the morning with the kids in my Pottstown Influential Leaders of Tomorrow writing class. Check us out in a photo in today’s Mercury! 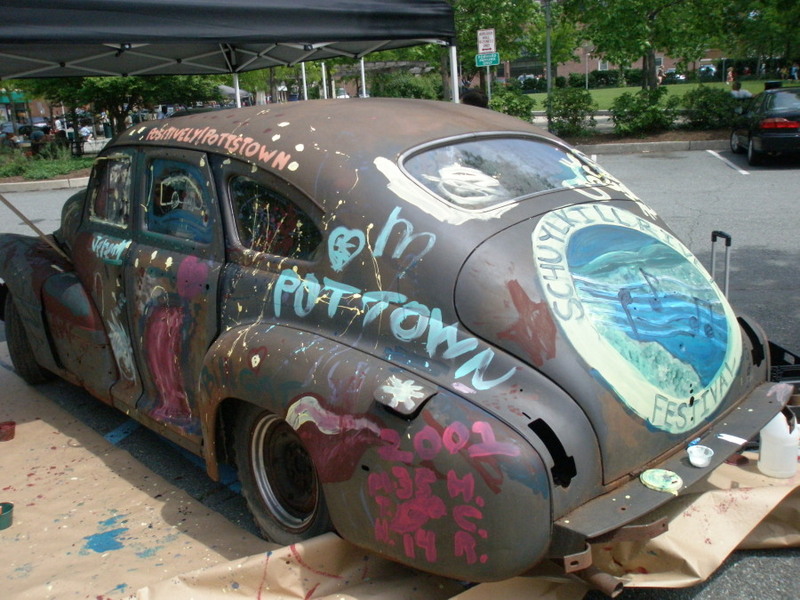 The music and entertainment was excellent, although I would have to say that my students and I probably had the most fun adding our own special touches to the painting of the ’48 Buick, which will eventually become a piece of sculpture somewhere in town. I also went back in the afternoon with my mom after a delicious lunch at Churchill’s across the street. Already looking forward to the upcoming First Saturdays on June 5, August 7 and September 4!